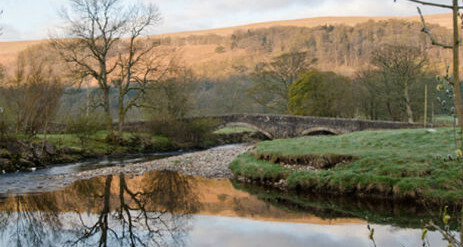 Buckden Camping offers glamping on The National Trust Heber Farm in The Yorkshire Dales with 600 sheep, plus cattle including a developing herd of Belted Galloways. 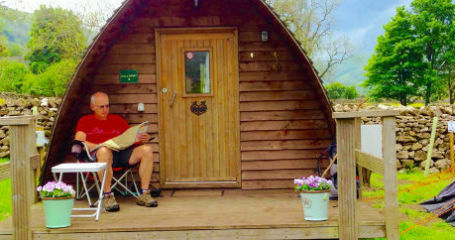 Glamp in one of our pods, cook outside and enjoy breakfast, lunch or dinner on the decking while you admire the fabulous view and enjoy the glory of the dale around you. 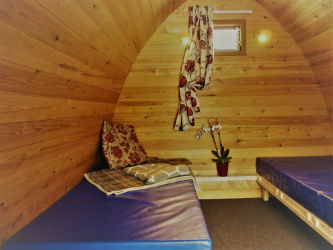 The latest in cool camping, our three pods each sleep up to 5 people and offer electricity, lighting and heating and mattress covered seating area which converts in to beds for the ultimate in easy camping. 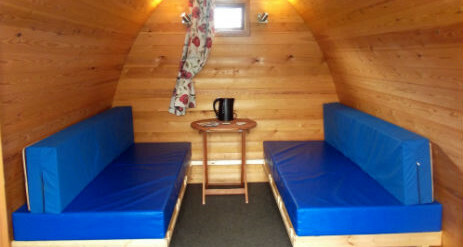 Spacious and secure the pods are insulated wooden huts which provide warm and cosy accommodation whatever the weather. 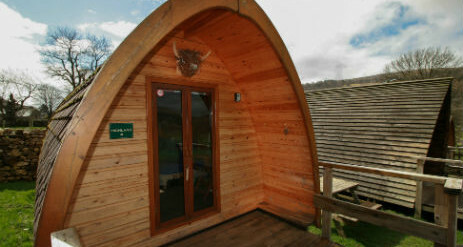 The roofing material is designed to eliminate noise and enhanced by natural sheep wool insulation, it ensures the pod is warm in cold weather and cool when it gets hot! Just bring what you’d normally bring for camping – except the tent. Our unfurnished family pod comes with outside decking. Simply bunk down as you would in a tent – without having to put it up! 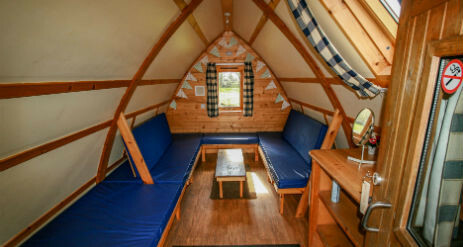 Our furnished family pod with outside decking comes supplied with fridge and kettle and a mattress covered seating area that converts to a sleeping platform, simply bring your own bedding and feel right at home. 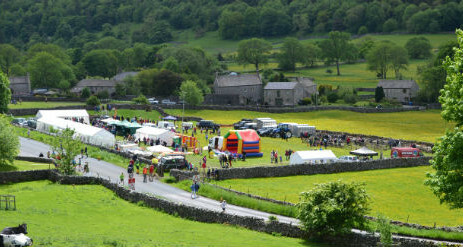 Our services based in the farmyard between our two camping site areas, offers a toilet, power shower and pot-washing facilities. 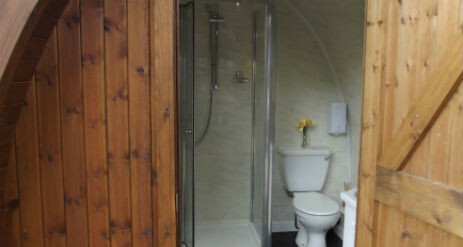 For busy periods our more rustic ‘Tough Mudder’ shower in the barn is also available. A fridge and freezer is available – please ask. 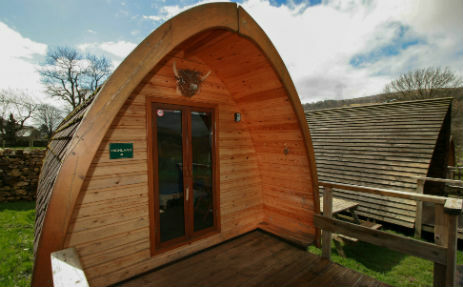 On the meadow site for tents and Pods, toilets, a shower and pot-wash facility are available for your use.